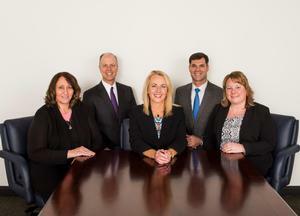 Legacy Wealth Management Team : Benjamin F. Edwards & Co.
Legacy Wealth Management of Benjamin F. Edwards & Co. grew from our belief in a simple idea: Clients come first. We are committed to learning about you, your family and your experiences. We are uniquely qualified to help guide you on your journey. Better together, the team has developed enduring relationships with our clients that span generations. We work with a select group of families who share our values and desire a close-knit, personal relationship. This closeness means we’re fully invested in our clients and passionately committed to helping them accumulate wealth and celebrate success in life. We invite you to become part of our family. Please contact us for a personal consultation, and together we will focus on your future.